On Tuesday, the fine people of Nevada voted to legalize recreational marijuana. And tomorrow, this town will get its first sumptuous taste of Sugar Cane Raw Bar Grill’s duck confit waffles. 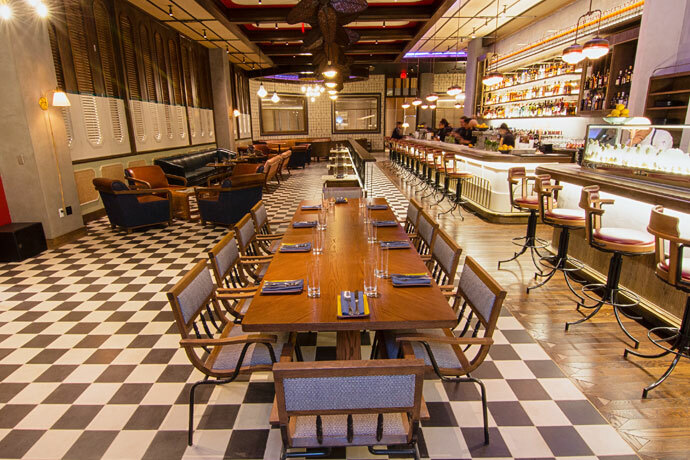 Let’s just say the spacious second location of the James Beard Award–nominated Miami restaurant is soft-opening tomorrow on Restaurant Row at the Venetian. 1) It’s a sort of globally inspired small-plate situation that unites the holy trinity of cooking delicious things: an open-fire grill, a raw bar and a traditional kitchen. 2) They’re famous for duck confit waffles, rum Old Fashioneds with homemade cigar bitters and a particularly flavorful snapper crudo. And before you ask: yes, Vegas will do all that, too. But you’ll get access to new stuff like pig ear pad thai and sea urchin tostadas. So that’s a win. We should also mention that you’ll have an eclectic, Old Havana–inspired space, expressly designed for you and your friends to relax on cane-backed chairs, eating and drinking to your heart’s content before hitting the town. And we’ve got this slideshow to prove it.